My sister and I don't talk very often and she barely sends me messages, but this morning I got a text saying "Sorry for your loss". What she was referring to was the death of wrestling legend, The Ultimate Warrior, who she knew was my favorite wrestler growing up. I know I'm not alone when I say he was my favorite growing up simply because he was such a likable wrestler for any young fan. 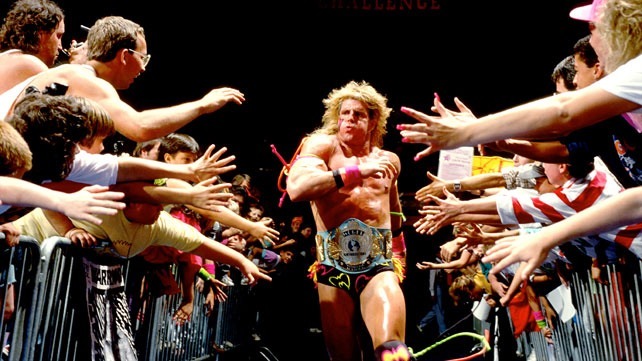 Everyone was enthralled with his style and persona; the way he ran full-speed to the ring every match, shook the top ropes like rubber bands, and wore bright outfits with crazy neon face paint. Did I ever understand what he was ever saying in any of those animated interviews? Absolutely not! No one did, but we loved it! I can still remember singing the guitar riff of Warrior's entrance music when I opened this present on Christmas morning. I'm pretty sure I sprinted around the house huffing and puffing too. During the height of me being a fan, Hulk Hogan was the face of wrestling. 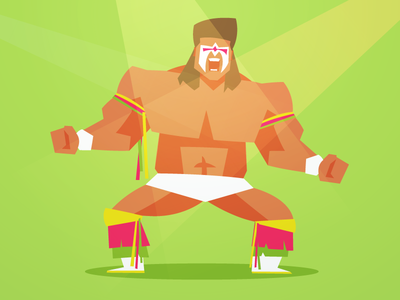 However, there was a changing of the guard at Wrestlemania VI when Warrior defeated Hogan to become both Intercontinental and World champion. This one of the most memorable matches because it involved two great legends and because it changed wrestling forever. Fan favorites could now become champions too. It wasn't easy being a Warrior fan. He would come in and out of story lines and would sometimes disappear for long periods of time. But you know what? It made it that much sweeter when he came sprinting back to the ring. It was sad to hear about the sudden death of the 54 year old. Especially since it came just a few days after his induction to the WWE Hall of Fame and making an appearance on Monday Night Raw where he gave a speech that may or may not have been a prediction of his death. After doing some research for this post, it became clear that other wrestling fans were really torn by this loss too. Here are some illustrations I found along the way. 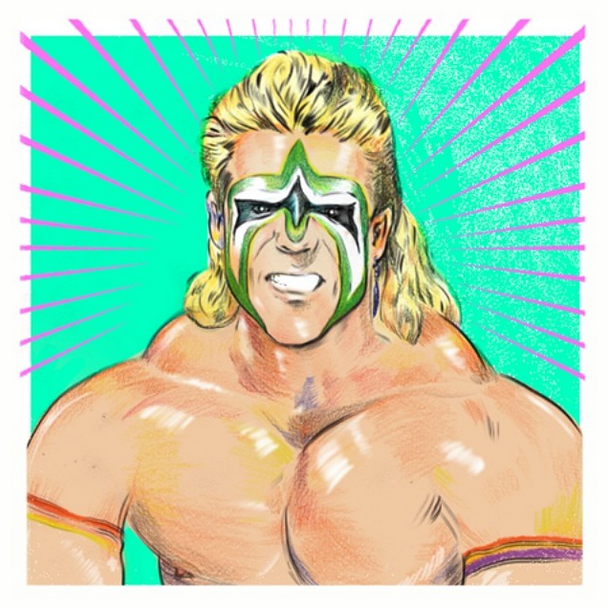 Say what you want about the sport of wrestling, but The Ultimate Warrior will live on forever.